In The Constitution Failed: Dispatches From the History of the Future, Owens pays a debt to his youth by examining via a series of tightly written ‘dispatches’ the original intent the Framers had for the Constitution and the subsequent damage done to it by progressive political agendas. Dr. Robert Owens, a Constitutional scholar, holds a PhD in Organizational Leadership, a Master’s Degree in History and Religious Education, and a Bachelor’s Degree in History and Religious Education. He teaches History, Political Science, Religion and Leadership at Southside Virginia Community College – a part of the Virginia Community College System – and History for the American Public University. 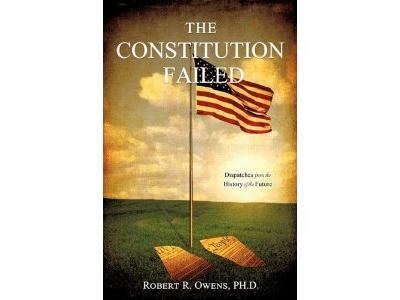 The Constitution Failed is available online at Xulon.com, Amazon.com and Barnesandnoble.com.